Dr. U.B. Pavanaja conducted a workshop in Hasan on June 4, 2013. Prajavani carried a report on June 5, 2013. 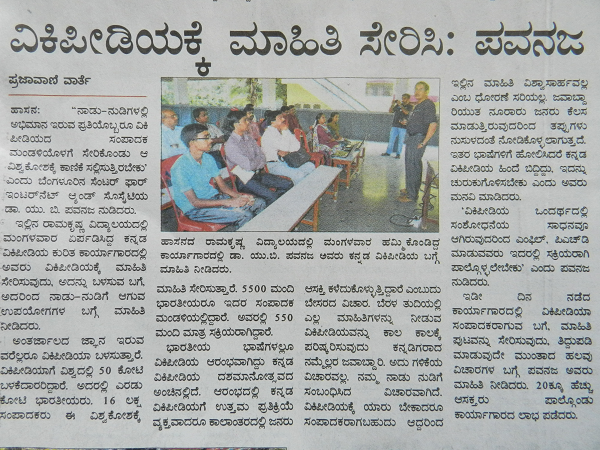 A Kannada Wikipedia workshop was conducted in Hasan by Dr. U.B. Pavanaja on June 4, 2013. Above is the report published by Prajavani in Kannada.